The path follows the Western Maryland Scenic Railway for 18 miles from Frostburg MD to Cumberland MD. The train was coming into Frostburg as we passed it on our ride earlier this year. Cielo Cycles is unique in its approach to handmade bicycle fabrication. We offer readymade classics in stock sizes with little to no lead time. Our framesets are priced to compete with the larger manufacturers' boxed bikes but with details and construction that rival custom one-at-a-time handmade framesets. We pride ourselves on a meticulous approach to frame construction; there is no dependance on "black magic" here. For example, our build team miters tubes to .002 of an inch assuring razor straight alignment from the very moment the tubes are joined. There is no simple expression of "craft" that supplants precision, no "artisanship" that takes precedence over intention. Sure, our bikes have soul and we are not corporate robots but we do believe in repeatable high-quality work. We plan to offer our road and cyclocross models on a permanent basis with other seasonal models mixed in on limited terms. Our color options will be carefully chosen for timelessness in collaboration with Spectrum Powder Works, one of the industry's leading powder coating facilities. And while we aren’t a pure custom fabrication company, our stock range covers 17 sizes in one-centimeter increments. His website is here. Why am I posting this? Because his brother Tom sits in a cubicle next to me everyday. And I am jealous. Katie and I rode down Livingston to the trail. Took the trail south to Williams Rd. Headed west on Williams. It is closed west of Groveport Rd, so we headed north until we hit Parsons. Rode Parsons up to Whittier. Whittier to 3rd, north to Dirty Franks. 18 miles. Moderate pace. Weather was absolutely perfect for a night ride. 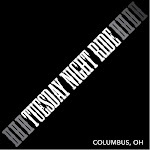 We will be riding to the wine pairing at the Hills Market at the northern most point on the Olentangy Bike Trail. What happens when you gather 150 gentlemen on bicycle at Savile Row? You get the first everTweed Run as the cyclists dressed in merino, tweed, flat caps and ties. WILTON -- Faced with national criticism over not allowing students to bike to some schools, the Saratoga Springs school district approved a revised bicycle policy Tuesday that some said raised even more questions.